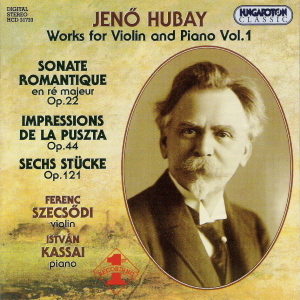 Works for Violin and Piano Vol.1: Sonate Romantique en re majeur, Op.22, etc. 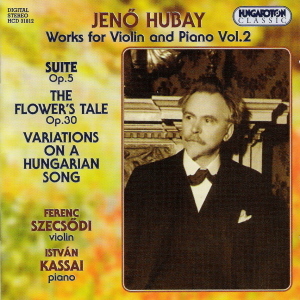 Works for Violin and Piano Vol.2: Suite, Op.5; Romance in F, Op.25, etc. 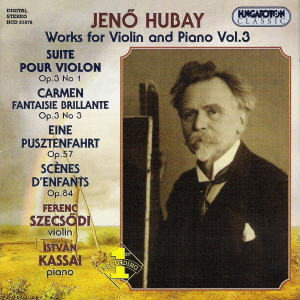 Works for Violin and Piano vol.3: Lahore Suite, Op.3 No.1, etc. 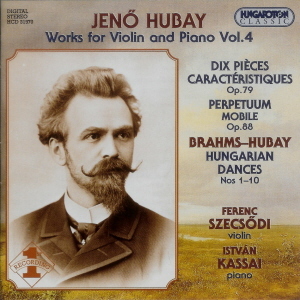 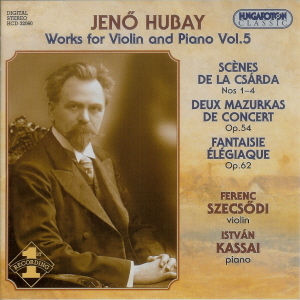 Works for Violin and Piano Vol.4: (Brahms/Hubay) Hungarian Dances Nos.1-10, etc. 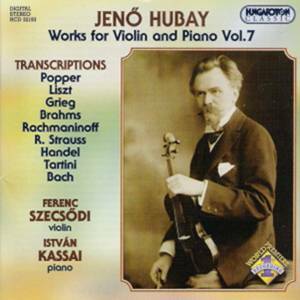 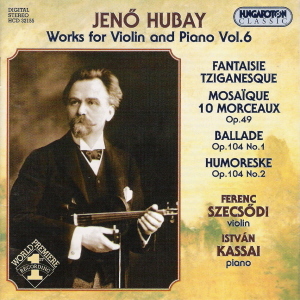 Works for Violin and Piano Vol.6: Fantaisie Tziganesque Op.4, etc. 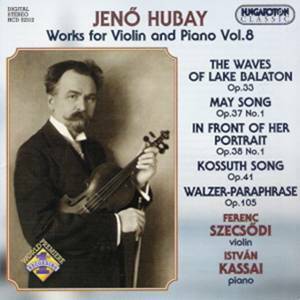 Works for Violin and Piano Vol.8: The Waves of Lake Balaton, Op.33, etc. 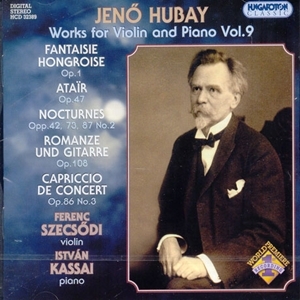 Works for Violin and Piano Vol.9: Fantasie Hongroise, Op.1, etc. 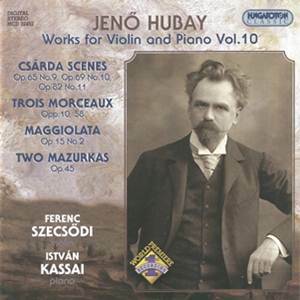 Works for Violin and Piano Vol.10: Scenes de la csarda No.9 (Panna Czinka's Tune, Op.65), etc.